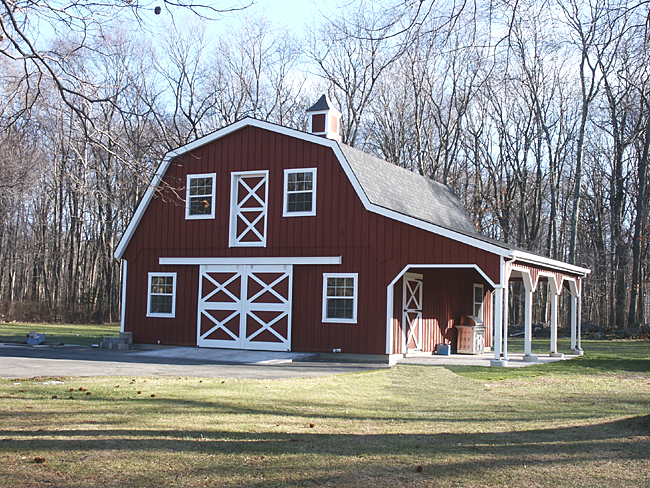 The Gambrel Barn is expansive and impressive – wide and tall with a big hayloft space. 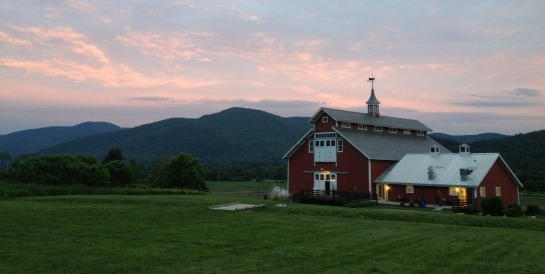 It’s the type you see in your mind when you think of ‘barn’. The ‘gambrel’ roof has two slopes on each side, the inner one shallow, and the outer one steep. 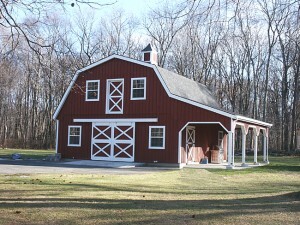 It has the advantage of a sloped roof while maximizing headroom inside the barn’s upper loft. The Gable Barn looks like a simple triangle on a box. 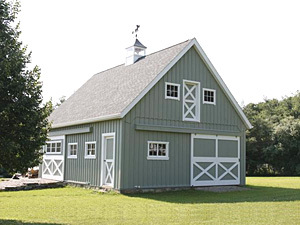 In contrast with the gambrel, the gable roof has only a single slope on each side. 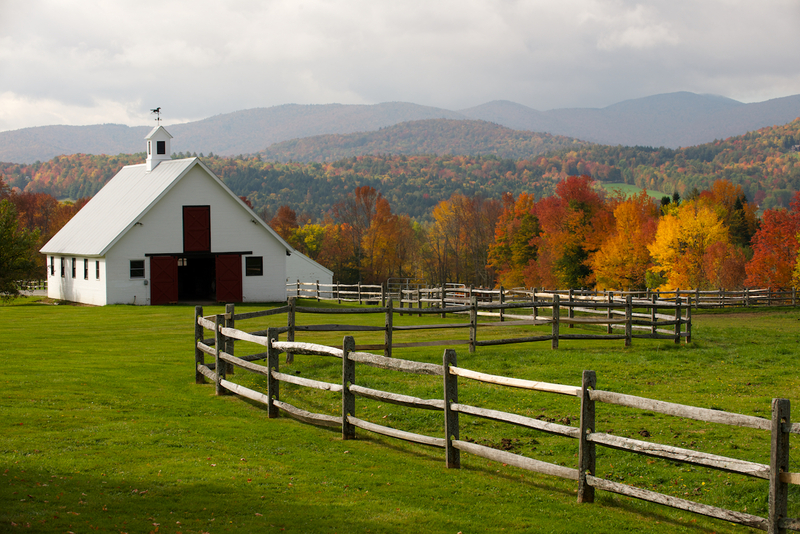 The gable barn was the earliest type of barn seen in the US, built by Dutch settlers in the late 1600s in New York and New Jersey. Also called Dutch barns. The Bank Barn gets its name from a simple but clever construction technique: the barn is built into the side of a hill, thus permitting two levels to be entered from the ground. 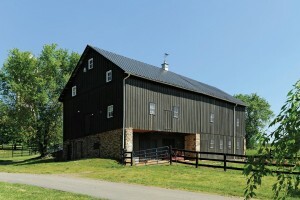 The roof of a Monitor Barn has a raised center portion. 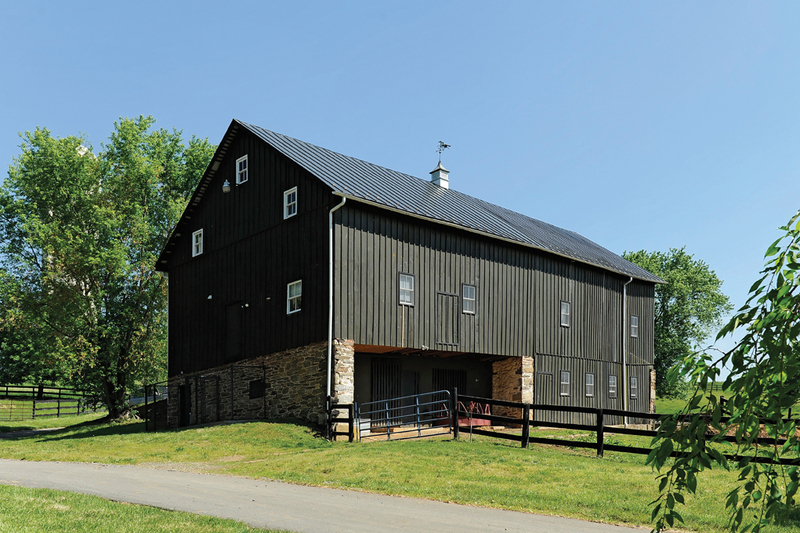 The barn gets its name from the continuous skylight – or monitor – that runs along the raised center portion. The monitor provides ventilation and effective general lighting. The Crib (or Double Crib) is a classic type of barn commonly found in the south. It typically has a tall center breezeway with storage areas on both sides. It usually has four to six “cribs”, with or without a hayloft on top.